Franklin Vagnone, president of Old Salem, will discuss the ways in which professional practices of public history, preservation, museum, and environmental studies crash into a new concept of preserved memory. Vagnone combines decades of leadership in cultural organizations with a biting critique of established best practices for preservation. Weaving a narrative of disappearance that involves architecture, landscape, and political systems, Franklin makes a compelling case for a hybrid notion of preservation and public identity. Students, faculty, staff, alumni, and community members are invited to attend this talk. Franklin Vagnone is the principal of Twisted Preservation Cultural Consulting and the president and CEO of Old Salem here in Winston-Salem. 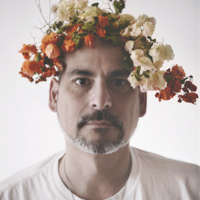 He has a strong background in the creative arts (architecture, design,sculpture), is a public historian whohas been labeled a "domestic-archeo-anthropologist," and has over 25 years of transformational leadership in nonprofit management with award-winning cultural program and creative place-making development. Franklin leads the highly respected cultural consulting firm Twisted Preservation, facilitates a series of “One Night Stand” overnights inhistoric house museums, hosts “Water Cooler Chats”, which to date, have readers in over 90 countries (twistedpreservation.wordpress.com), and also moderates an international discussion group: TheAnarchist’s Guide to Historic House Museums. Among his present projects are: “Hidden Town,” mapping slave dwellings throughout the town of Old Salem, and “Gay in the Gilded Age,” an interpretive guide for New York State Preservation & Historic Department. Franklin is author of numerous articles as well as The Anarchist’s Guide toHistoric House Museums (co-authored with Ms. Deborah Ryan), a book about innovativeconcepts for historic cultural sites. The book was voted best museum education-related book of 2015 by Museum Educator’s Monitor and became the #1 bestseller (museum-related) on Amazon for February 2016. While executive director of major historic house organizations in Philadelphia (The Philadelphia Society for the Preservation of Landmarks) and New York City (Historic House Trust of New YorkCity), Franklin's leadership has been recognized through two Lucy G. Moses awards from the New York Landmarks Conservancy, an Award of Excellence from the Greater Hudson Heritage Network, an Award of Merit from the Museum Association of New York Award, and a Grand Jury Medal from the Philadelphia Preservation Alliance. In recognition of his sustained work in the museum profession, Franklin was selected for the 2015 Museum Association of New York State’s prestigious Individual Achievement Award.